Education for Rural People: Capacity Building Workshop on "Education for Rural People and Food Security"
Capacity Building Workshop on "Education for Rural People and Food Security"
Workshop "Educación de la Población Rural (EPR) en América Latina: Alimentación y Educación Para Todos"
Workshop on Education Planning and Agriculture "Ingénierie des dispositifs de formation"
CCID 27th Annual Conference "Community Colleges in the World - Including the Excluded"
Seminar on Education for Rural People with the Italian NGOs. 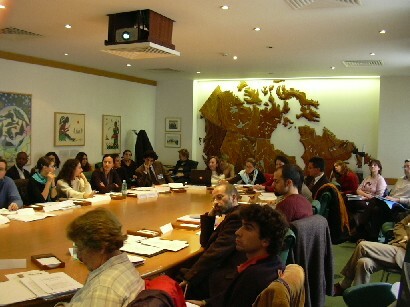 Capacity Building Workshop on "Education for Rural People and Food Security" : A Partnership Project Co-Financed by The European Commission (15 - 17 November 2004 Rome, FAO Headquarter). 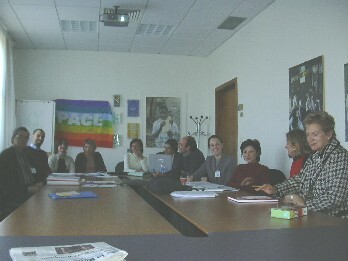 The European Commission, several European NGOs, FAO and UNESCO agreed to co-finance a partnership project to raise public awareness in Europe on the importance of education for rural people in poor countries. The project addresses the urgent need to target education in rural areas where over 70 percent of the world's poor are caught in the vicious circle of being unable to access the services and opportunities that might take them out of poverty. ”Basic education is a fundamental human right in itself and an essential prerequisite for achieving the Millennium Development Goals, specifically the first two goals which focus on eradicating extreme poverty and hunger, and achieving universal primary education" FAO Assistant Director-General John Monyo said during the workshop attended by representatives from more than 100 non-governmental and civil society organizations from developed and developing countries, senior officials from the Italian Development Cooperation and experts from FAO, UNESCO and other international organizations. "The gap between urban and rural illiteracy is widening and, in several countries, rural illiteracy is two or three times higher than in urban areas," stated Mr Monyo, pointing out that worldwide the great majority of the 2.8 billion people who survive on less than two dollars a day live in rural areas.